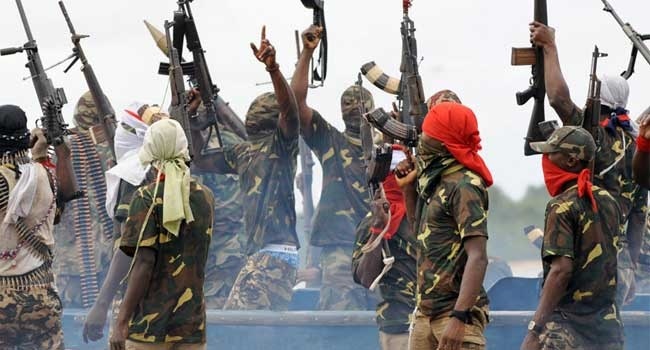 A militant group in Ondo State, United Sea Wolf Avenger, said politicians in the state had hijacked the Federal Government’s Amnesty programme in the state. A militant group in Ondo State, United Sea Wolf Avenger, is currently not happy with politicians in Ondo state. The group has accused the politicians of hijacking the Federal Government’s Amnesty programme in the state by allocating the slots to their children, friends and political allies. The Ondo State Government, had on October 23, announced that the Federal Government would on Nov. 9 incorporate ex-militants in the riverine area of the state who are willing to submit their arms for the programme. “We humbly want to alert Nigerians and the Federal Government that politicians in Ondo State are about to compromise the standard and integrity that the Nigerian security personnel has built over the years by hijacking the second phase of the amnesty programme."